DSQ Surveyors recently found this survey reference tree on the QGC Valkyrie property near Nebo in Queensland. 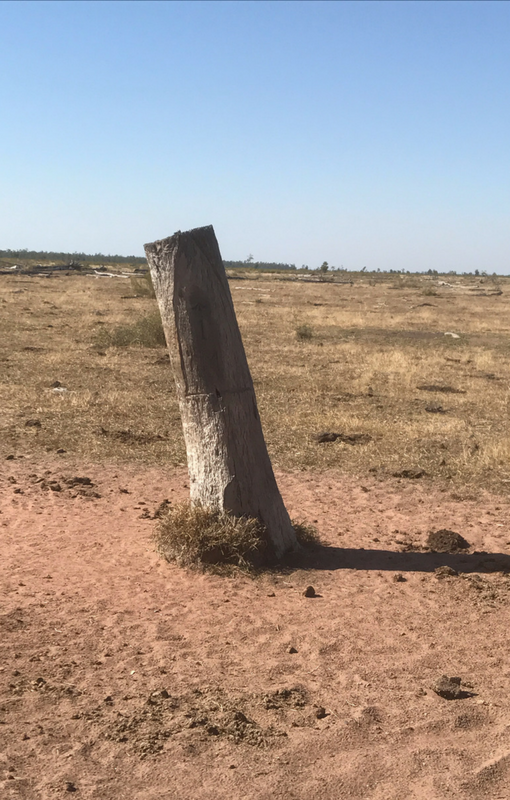 The tree has a blazed shield with “1M” chiselled into the blaze, signifying its reference off the one mile marker on the cadastral property boundary. Most of the surrounding landscape has been cleared of trees for grazing, thankfully someone recognised the importance of this tree and saved it.